Gaan-Ngai Festival begins in Manipur. Image: Northeast Now. The State-level Gaan-Ngai Festival 2019 was inaugurated with pomp and gaiety at the Chingmeirong Kabui Village in Manipur’s Imphal East district on Saturday. Speaking on the occasion, forest and environment minister Thounaojam Shyamkumar said that the celebration is an age-old tradition of preserving and continuation of the age-old cultural heritage of the Zeliangrong community. Stating that all the communities can live in harmony and safeguard the unity of the State when each community preserves their own cultural tradition, Shyamkumar appealed to the people of the State to respect to each and every community so that all can continue to live in peaceful co-existence. “Manipur is a home to various ethnic groups and communities and each community follow and continue the rich cultural tradition and legacy of the forefathers,” he said. 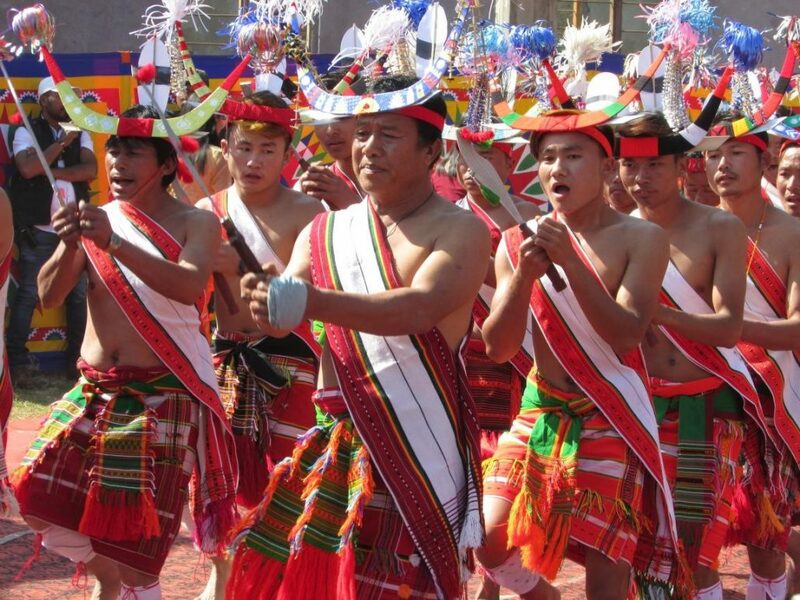 The state-level Gaan-Ngai will be celebrated across Zeliangrong areas for five days. It is being organised by the State level Gaan-Ngai Celebration Committee, Manipur. Cultural programmes including folk songs, beating of drums, dances and rituals were some of the highlights of the festival inaugural function which was attended by many Zeliangrong families with their children in their colourful attires. Extracting of sacred fire, ho-hoing–an invocation of god, offering of holy wine to god and deities besides other cultural extravaganza are the main highlights of the Gaan-Ngai. The festival consists of series of rites and rituals. The most significant part of the festival is the worshipping of Tingkao Rawang, almighty god. Three days back, a curtain raiser function of the Gaan Ngai festival was held at the Raj Bhavan in Imphal.